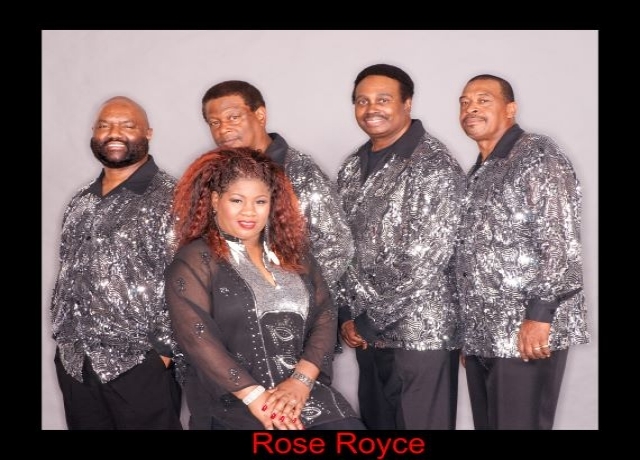 Rose Royce is a Los Angeles based band that made a huge impact on the music charts in the 1970s. Their debut album was the soundtrack to the hit movie "Car Wash" which won the Grammy Award for Best Soundtrack and title song was #1 smash hit on both Billboard Pop and R&B charts. Other hit singles on the album "I Wanna Get Next To You" #10 Pop and #3 R&B as well as "I'm Going Down" #10 R&B. On their next albums were hit singles "Do Your Dance" #4 R&B, "Ooh Boy" #3 R&B, "Love Don't Live Here Anymore" #5 R&B and "Wishing On A Star", one of their most enduring and requested songs. After more than 40 years, these classic songs are still heard on radio, film, television and other media today. Several major artists have covered or sampled their songs including Beyonce, Mary J Blige and Seal. Rose Royce is best known for their great ballads, however they are also one of the funkiest bands around as they display in their live concerts. Currently, the band performs on tour around the world dazzling audiences with an exciting show featuring all their versatile talents and charisma.